A vigorous debate is taking place in the Florida Legislature regarding two alimony reform bills. The Senate’s version is numbered SB 718 and the House’s version is numbered HB 231. Much of the rhetoric in support of alimony reform from groups like Florida Alimony Reform (“Florida Alimony Reform no longer exists in its past form”) is focused on permanent alimony horror stories. While I certainly don’t agree with FAR on a number points, some of the proposed reforms to permanent alimony, such as making it easier for a person to terminate permanent alimony when they reach social security retirement age, are worthy of consideration by the Legislature. Currently, there are no presumptions against a court awarding bridge-the-gap or rehabilitative alimony in short term marriages. Bridge-the gap alimony may be awarded to assist a spouse by providing support to facilitate the transition from being married to being single. Bridge-the-gap alimony is for short-term needs, and the length is not exceed a period of two years. An award of bridge-the-gap alimony terminates upon the death of either party or upon the remarriage of the party receiving alimony. An award of bridge-the-gap alimony shall not be modifiable in amount or duration. b) The acquisition of education, training, or work experience necessary to develop appropriate employment skills or credentials. Rehabilitative alimony may be terminated for non-compliance with a rehabilitation plan. In my practice as a Jacksonville family law attorney, I occasionally see clients in “short term” marriages (currently defined as seven years or less) experience dire financial circumstances when separated from a bread winning spouse. Consider this hypothetical situation: hypothetical stay-at-home wife, who was formerly employed in the technology sector, has stayed at home for the last five years since being married. The hypothetical husband, who makes a good living in medicine, has moved out of the residence with a new paramour and refuses to provide the wife support. The hypothetical parties have limited assets aside from husband’s pay. In the last five years, the hypothetical wife’s job skills have become outdated in the fast moving technology sector. Should Florida law make it harder for the wife to receive short term alimony while she updates her skills to regain employment? In my view, there shouldn’t be a presumption against parties in short terms marriages from receiving bridge-the-gap or rehabilitative alimony. Such a presumption runs contrary to the “systemic culture of dependency” rhetoric proponents of alimony reform express as a basis for alimony reform. Both rehabilitative and bridge-the gap are “get back on your feet” types of alimony. They are short term in nature and are designed to transition a dependent spouse back to independence. 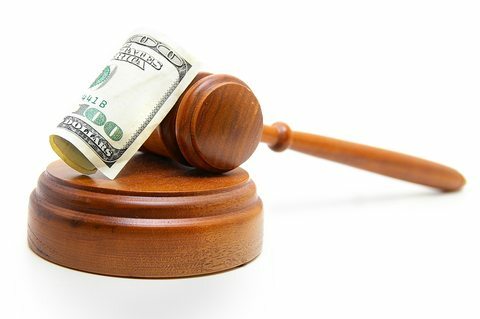 Under the current alimony law, family law judges have the discretion to award or not award rehabilitative and bridge-the gap alimony based on a number of factors. Let’s not place barriers to spouses who need help getting back on their feet. If you have questions about alimony in the Jacksonville, Florida area, please contact your Jacksonville Family Law Attorney at 904-339-5298 or through this website. Your first consultation is free. standard of living, income, and retirement should be! Brilliant!